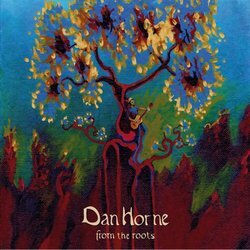 Dan Horne is a foot stompin' folk infused blues & roots multi instrumentalist. In 2017 he released his debut album 'From the roots'. A folk infused, feel good, surf/roots album, independently recorded at paperbark recording co.
Dan's first single 'This Town' is currently the soundtrack to the sunshine coast, and featured on the 'Come To Life' television ad campaign. One Step is a feel good track, written about bringing people together regardless of race, religion or background. A powerful track, with a catchy rhythm and thought provoking lyrics.